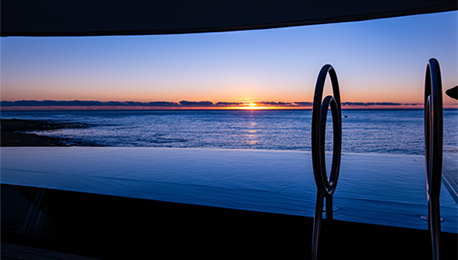 This incredibly luxurious “Home in the Sky” was recently redesigned by the owners to create an elegant, yet comfortable, homely environment, perfect for enjoying Cape Town’s famous summers. 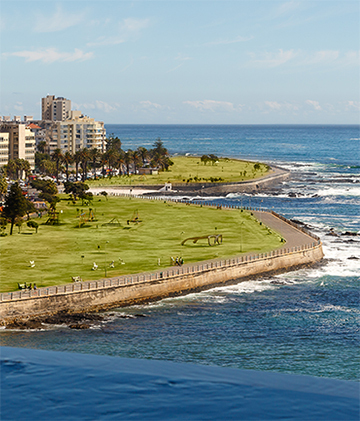 Guests can relax on the terraces and revive themselves in the majestic infinity pool, all the while experiencing spectacular views of Robben Island, the Atlantic Ocean and the greenery of the Metropolitan Golf Course and the Green Point Urban Park. The Penthouse has direct access from the garages, bypassing the main lobby and concierge – perfect for those who wish to remain as incognito as they like. 24-hour security presence allows guests to relax and unwind without a care in the world, and a 24-hour Concierge Service is on hand to welcome any guests as well assist with arranging taxis and handling any deliveries. Our on-site day manager can see to any other pressing needs. 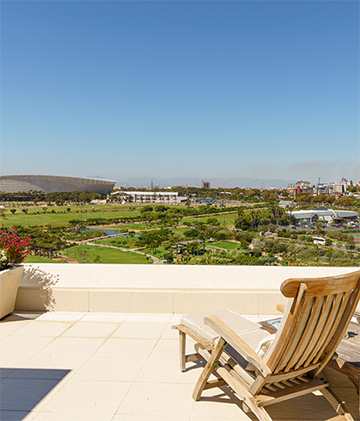 With Sea Point’s bustling promenade right on your own doorstep, it is ideally located with nearby access to Cape Town’s world famous beaches, the V&A Waterfront, and numerous top class restaurants within walking distance. 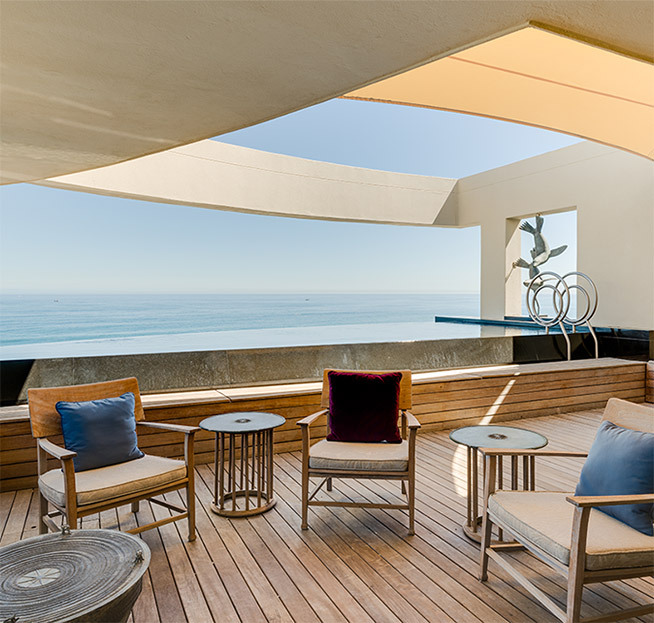 The Penthouse is conveniently situated away from the notorious traffic and peak-seasonal madness that is found around Clifton, Bantry Bay & Camps Bay. La Rive Penthouse in Cape Town is so incredible. The staff have been wonderful, the location perfect. We are so happy to be here and feel lucky that we booked late and didn’t get our choice of hotels. We prefer this area over the V&A area. That part of town is way too crowded and touristy for us. We have never rented out a “home” with staff before. I think this has turned us on to a new way to travel in the future. © 2016 The Penthouse. All Rights Reserved.